Spring is that lovely time of year when we all decide it is the perfect time for cleaning out the cobwebs of our lives! After a particularly long winter season, this year is no different. 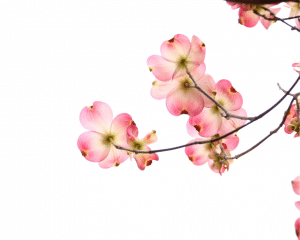 Spring traditionally was the time for cleaning because after the vernal equinox the days were getting longer again. When you only have lantern light available to you throughout the winter, some things go unnoticed because of lack of light. Things like dirt in corners, cobwebs on the ceiling, and grime on walls and door frames. As more light entered the houses, however, those things appeared, so it was important to clean it up and keep it neat. Obviously, we now have plenty of electric light by which we can see if things are going downhill, even in the winter. Somehow, though, spring continues to be the preferred time for deeper cleaning projects. 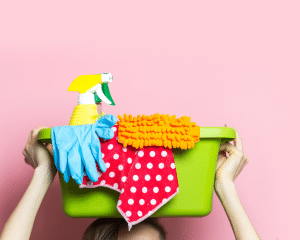 If you are one of millions with limited mobility or if you suffer from extreme fatigue due to a health issue, you’ll find a few thoughts in this article to help you check off your spring cleaning chores without compromising your health. Your checklist will look very different than other people’s. You can gain insight by looking at some online, but do not feel compelled to copy theirs. Your home is different than theirs, your life is different than theirs and you know how precious life is, so do not squander it on comparisons. Think through the kinds of things that will be a challenge to clean with your condition & research ways to make it easier/possible. If fatigue is your issue, be realistic about how much you can do per day. If you can only do one spring cleaning task per day, that is fine. After all, spring is a long season! If one window is all that can be accomplished in a day, it is one window more than yesterday. Many people suggest hiring others to accomplish what they cannot. This is a great idea, but if you are unable to afford it due to a fixed income, you can still accomplish a great deal. Enlist help for things that require more than you can give. Some refrigerators are a snap to move out of the way to clean the floor beneath. Some of them are monsters. If you have monster appliances that need to be moved so you can clean, enlist the help of a friend or family member. It generally takes about 10-15 minutes to vacuum the coils and the floor and scrub up the grime, so be sure to have the tools ready to go. Ask them to move it, let you clean, & then replace it. If you have more than one appliance to move, have them start on the next one while you clean so that you’re not wasting any time. Use a vacuum first, then a scrub brush with soapy water & finally a rag to dry up the area. The scrub brush will give you far more power for your energy input. When you’re done, relax with some tea or coffee. It is amazing how good it feels to accomplish something that has been lurking in the back of your mind for a long time! Generally, spring cleaning does not involve those things on your daily cleaning list. If, however, you are in dire straits with your health, do not feel badly about adding the daily as your spring cleaning instead. Remember, that this is a season of your life. Maybe next spring you can tackle a deeper clean if you’re unable to this spring. I’ve always tackled problems with the most difficult first. That is why I suggested that appliances be the first to be cleaned behind & under. Once that is finished, the dread begins to lessen. Move on to windows next. If you cannot reach them from ground level, be sure to get an extension wand that you can use. If you’re unsure of how to open second story windows in an apartment or home, call your landlord or building maintenance. Many of these things are not difficult, we just put them off because it requires us to make a call and ask for help. Hot soapy water is the best thing to give the windows a clean shine. Wipe down the frames as you do the windows, inside and outside. I always finish by crumpling up a newspaper and drying it with that. It reduces streaking significantly. Be prepared to take a final look from inside to be sure that you haven’t left any grime or any streaks that will drive you bonkers for the rest of the year. Remember, you can choose to only do one window a day if your energy levels are low. Do not feel badly about this. Cleaning out cupboards and pantry areas may be next on your list in terms of difficulty. Approach from the same perspective as the windows. You probably do not want to tackle them all at once. Take out items from shelves. Use the vacuum hose extension to reach the back corners. Then take a rag and wipe the cabinets out. If you cannot reach the far back, tie or rubber band the rag onto an extension stick to reach it. While you have the items from that cabinet out, decide if there are items that you do not need any longer and start a donation box. If you do not use them, there is no use torturing yourself in following years by removing and replacing those items again during another spring cleaning session! Vacuum wands are magic wands. Okay, maybe that’s not true, but they sure do help a lot. If you do not have one, you can accomplish much with a dry rag on an extension stick or broom. Use what you have and go to each room of your house to take down cobwebs where the ceiling and the walls meet. If you have extremely high ceilings, this may not be possible, but do what you can. If you have ceiling fans, this is the time to tackle them. There are microfiber tools specifically made to grab the dust from atop ceiling fans to make it easier to clean. You attach them to an extension pole and voila! Start at the top of the walls/ceiling and work your way downward. Vacuum up all the dust bunnies that have fallen when you’re finished. If you have a lot of dust up high, you probably want to spread sheets on your furniture before you begin! The list of spring cleaning chores can seem endless, but it is not. With each chore you accomplish, you’ll be motivated to carry on and do more. Don’t forget regular fans, pet areas, bedding, closets, under furniture, nooks and crannies. When it comes to bedding, my grandmothers always brought mattresses out in the spring to air out. While that may not be advisable these days with the weight of beds being as they are now, stripping the beds, sprinkling baking soda across the tops and then vacuuming it up later can do a great deal to freshen the mattresses and ensure that they are dry and mite free. Pillows can easily be taken outside to be sanitized by sunlight and fresh air. Heavy comforters can be hung out on decks or lines for the same benefit and replaced with spring/summer linens. The most helpful tools for those with bodily limitations are usually extensions. Whether trying to mop up from a wheel chair or reaching the ceiling from strange angles, many cleaning brushes and tools have extensions available with them. We know that just because we’re unable to be on our knees scrubbing does not mean that the floor doesn’t get dirty. Enlist the help of duct tape if your extension pole is not adaptable to every tool. Do not climb around on ladders to reach tough spots if you’re alone in your house or apartment. It will do no good to have a clean house if you’re in the hospital because you’ve fallen! Above all of these things, adopt a positive mental attitude. That can be the most important part of spring cleaning! If you think positively about the experience, you’ll gain more from it than by dreading it and complaining. Your home serves you daily by keeping you from the elements and giving you a comfortable place to rest. Be thankful for it, and take care of it and yourself at the same time!